Manufactured in USA. Commercial grade, 1 ½” thick Oak Veneer Table Top; comes standard with an eased edge. 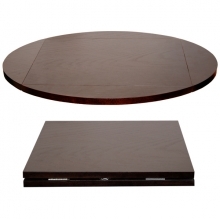 Available in 5 finishes and a wide range of sizes. Seven stage staining process maintains table finish. 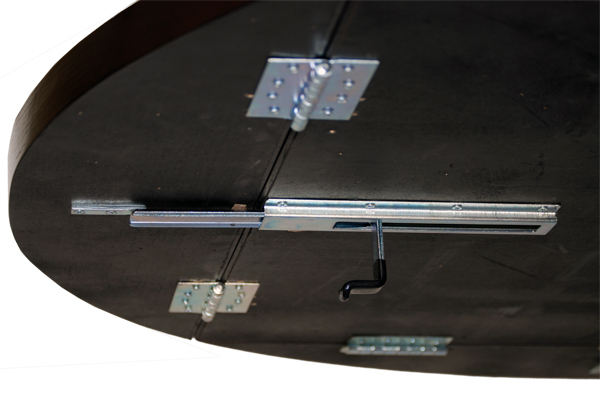 Drop leaf hinges allow the table to collapse to conserve space or expand to provide additional seating.